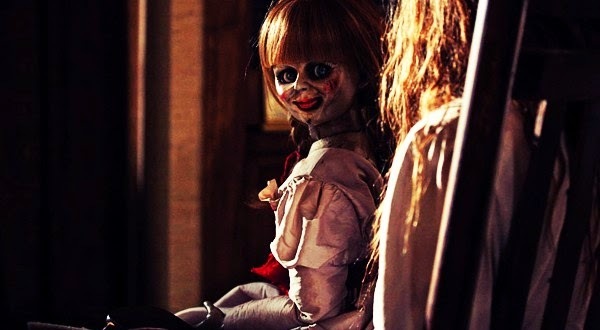 Annabelle is the prequel to The Conjuring but only the first three minutes are based on the true story of the doll. James Wan is the producer and John R. Leonetti who was cinematographer on The Conjuring is the director so it was no surprise to see much of the same cinematography on Annabelle too, which I personally love and I also must mention the nods to Rosemary's Baby. Annabelle is good but not brilliant. They delivered on the sudden frights and creepy demons but there was just something missing. I just could not take to Ward Horton who played the husband John, he really irritated me so was it the cast that made this a 3 not a 5 star movie as it should have been? Don't get me wrong I did enjoy it and most likely will add it to the Blu Ray collection but I expected much more from this movie.